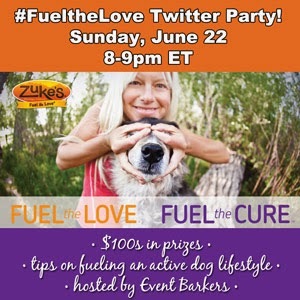 We've been super busy this week preparing for our Event Barkers #FueltheLove Twitter party with Zuke's set for June 22. But it hasn't been all work and no play at Casa To Dog With Love! We always find time for fun and fitness. In fact, one of the things we love about Zuke's is that just like us, they're all about staying healthy and being active with your pup. And, we know it doesn't need to be a huge adventure to stay fit… though those are fun too! 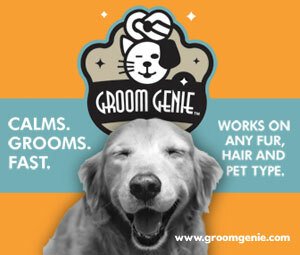 A good game of backyard chase or a walk around the block is as good for you as it is for Fido! Check back tomorrow for the weekly FitDog Friday feature on To Dog With Love and we'll share a few more fitness tips from the experts at Zuke's! And, while you're checking out the fabulous giveaways in our Blog Hop below, be sure to enter our Zuke's pre-party giveaways for three ways to win a super prize pack filled with natural, USA-made Zuke's treats. Ready for more fun? 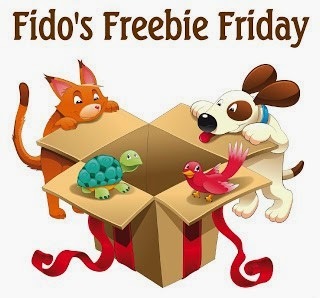 Check out the selection of this week's giveaways in the Fido's Freebie Friday Blog Hop below. You can enter them all or add your own! We make it easy by linking them up all in one place.